Your asphalt driveway is a durable surface which can take years of heavy use—but it’s not invincible, especially in the heat of summer. To keep it in shape and extend its lifespan, it’s important to provide the correct seasonal care. Here are a few tips for maintaining your driveway this summer. Asphalt driveways accumulate cracks over time, and the more there are, the more quickly this process will accelerate. 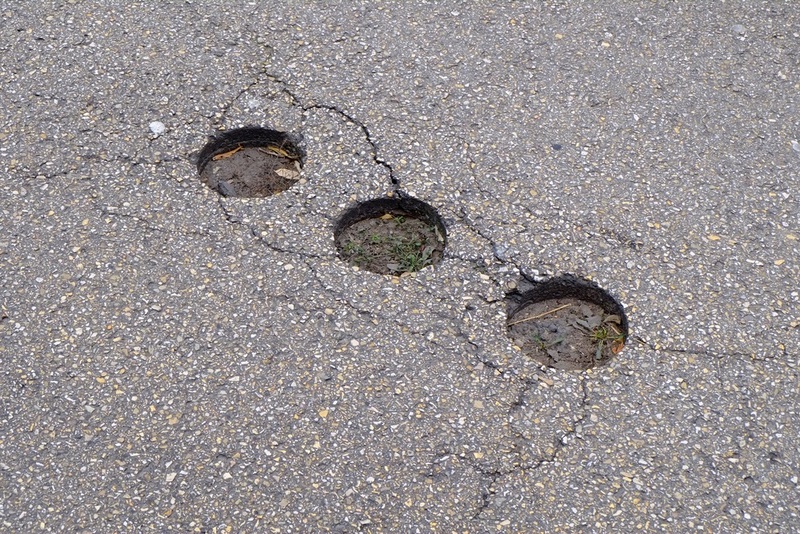 Heat weakens the binding materials in asphalt and contributes to the breakdown. Repairing any visible cracks as soon as they appear and scheduling regular driveway sealing to address smaller, invisible fractures will help slow this degradation. Heat also makes your driveway more vulnerable to warping and compression, which can leave the surface uneven. Avoid parking in the same place every day or for long periods at a time; your tires can wear divots in the asphalt driveway’s surface. Avoid leaving heavy objects like campers and boats on your driveway, and save heavy duty work for cooler seasons. In addition to fighting the side effects of heat on your driveway, you can also reduce heat directly. When you water your lawn or enjoy water-related activities outside, spray your asphalt down. This can lower the pavement temperature and give your driveway some respite in the hottest part of the day. If the summer heat has damaged your asphalt driveway, call MJM Services in Wasilla and Anchorage, AK. This family-owned paving company is run by three generations of local providers and offers fast, dependable paving and sealcoating services for homes and businesses throughout the area. For more information, call (907) 376-5222 or reach out online.